Group C appears to be full of opportunities for the teams that can grab points. Colombia, perhaps group favorites, kick off their return to the World Cup after a 16-year hiatus with a game against Greece, perpetual underdogs looking to win their second-ever game in the World Cup. LIFE AFTER FALCAO: The good news for Colombia is that they have had several months to process the likelihood that star striker Radamel Falcao will not be playing in Brazil due to a torn ACL. Now that he’s definitely ruled out, the question is: Who will pick up the scoring slack? Fortunately, Los Cafeteros have plenty of other intriguing attackers. In the midfield, James Rodriguez and Fredy Guarin should chip in with goals and assists, and the forward corps is loaded with promising talent, from Jackson Martinez and Carlos Bacca to Victor Ibarbo, Adrian Ramos and wildcard Teo Gutierrez. IS THE GREEK DEFENSE STRONG ENOUGH? : If the attacking options at Colombia’s disposal are impressive, what are the prospects for Greece? The expected game plan, at least as far as recent performances would indicate, will be to defend first and try to score on the counterattack or from set pieces. While the Greeks have rising talent in their defense, including Borussia Dortmund center back Sokratis Papastathopoulos, their goalkeeper, Orestis Karnezis, was strong in qualifying but did not play regularly for his club, Granada, last season. 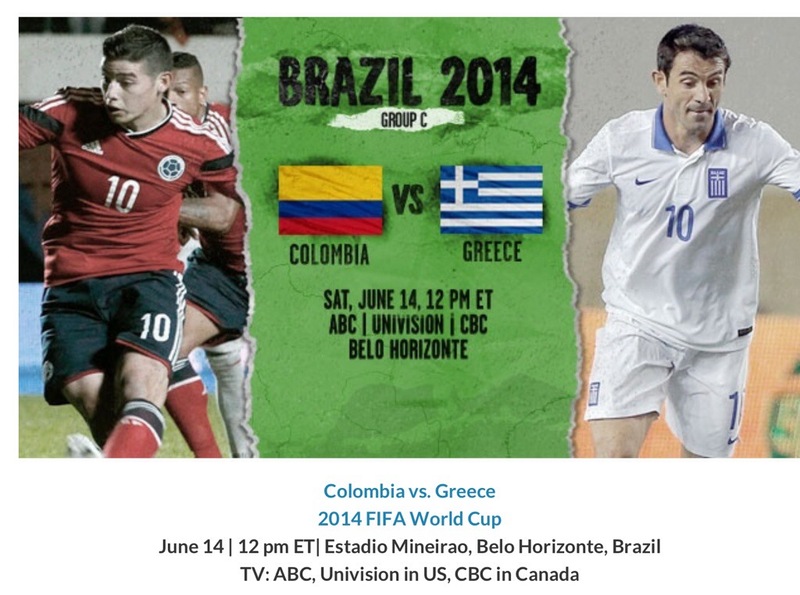 Can Greece minimize Colombia’s impact on the scoresheet? TIME RUNNING OUT FOR YEPES: Mario Yepes is Colombia’s captain and has announced he will retire after the tournament. At 38, he is the oldest outfield player in Brazil, and while he was a regular in his final club season for Italy’s Atalanta, there have to be questions about the defender’s durability and capacity to keep up with the likes of Greece, Ivory Coast and Japan. Still, for a player waiting his whole career to play in a World Cup, Yepes will get one final chance to shine. WHICH MITROGLOU WILL SHOW UP? : Greece forward Kostas Mitroglou finished 2013 on an absolute tear, seemingly scoring at will for Greece and his club at the time, Olympiacos. But following a January transfer to Fulham, who were subsequently relegated from the English Premier League, Mitroglou disappeared, making just three appearances in England. He hasn’t scored a goal so far in 2014 – can he get off the mark when his country needs him the most? James Rodriguez, midfielder, Colombia — The man named after James Bond (really) will attempt to shake Greece’s stout defense (see what I did there?) 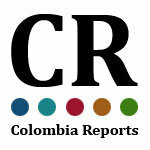 as Colombia’s playmaker. The 22-year-old will have major responsibilities, but if he can perform in Brazil, he could be the breakout star of the tournament.